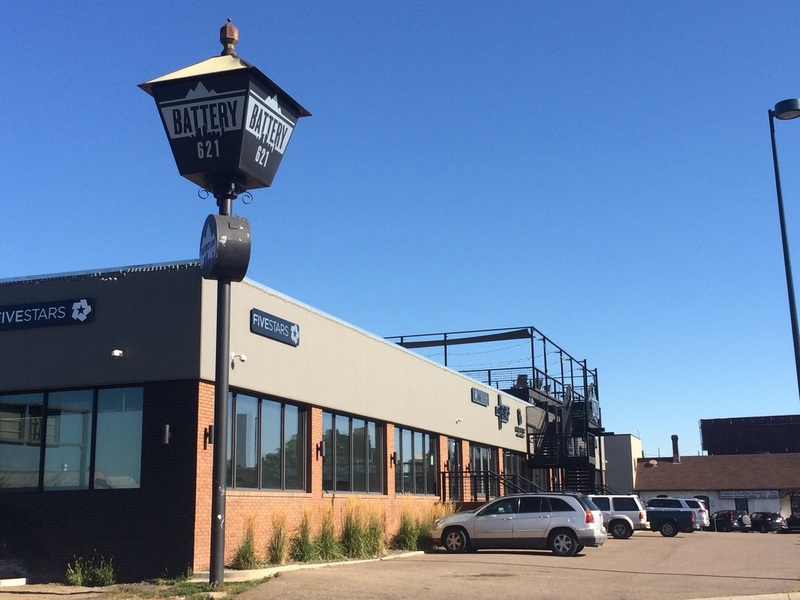 Battery621 is arguably one of Denver's first collaborative office environments. This dilapidated former lighting store building was redeveloped in 2010​. 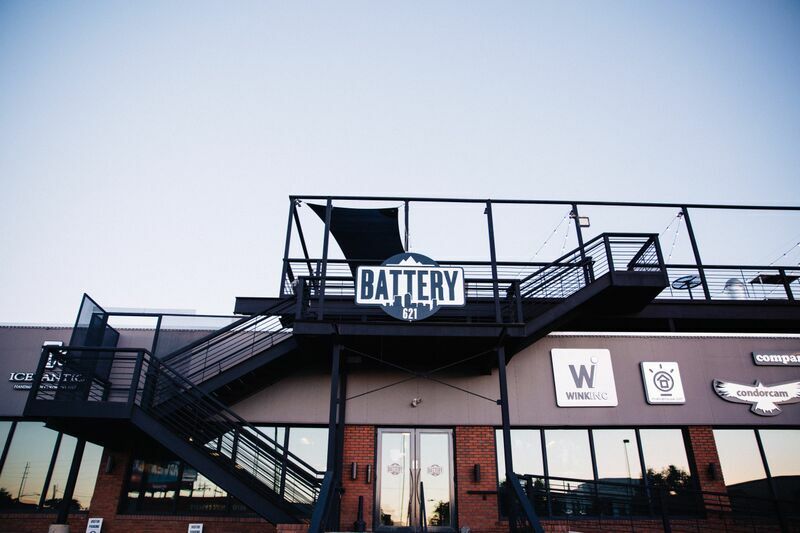 By thoughtfully curating the tenant mix and developing an innovative space Battery621 has attracted a variety of outdoor and lifestyle companies. 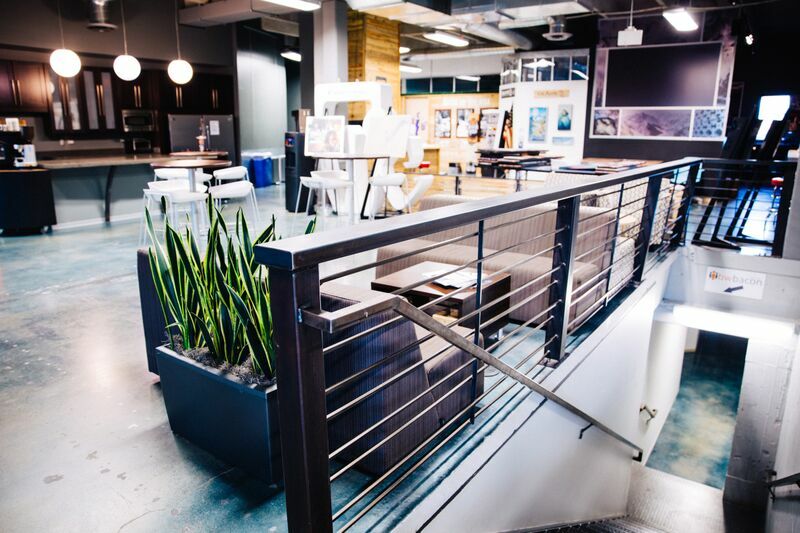 The property includes a mix of office and light industrial space, a 2,700 SF rooftop patio, several shared conference rooms, a shared photography studio, and an outdoor storage yard. 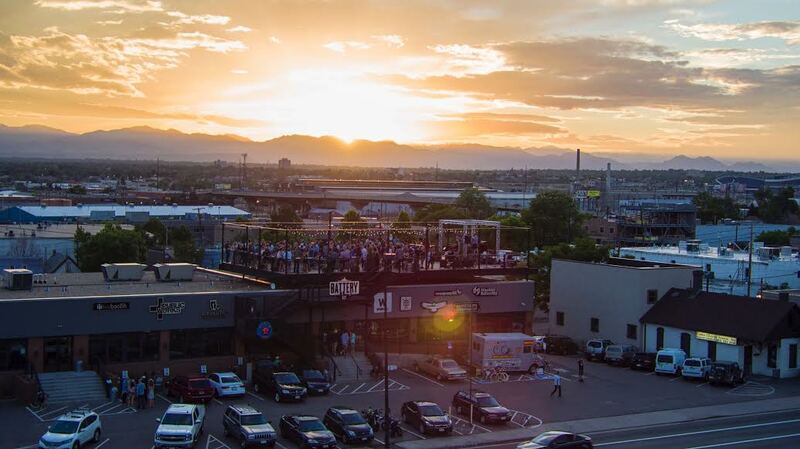 With panoramic views of the city skyline and the Rocky Mountains, Battery621 is also a dynamic event venue that hosts a variety of events ranging from corporate gathers, 1st Friday Art Walk events and even weddings. Inspiring and practical common areas. Convenient location at Kalamath St and 6th Ave.
Beautiful roof top deck with impressive views of the Front Rage and downtown Denver.